Bonfires on the beach are the most common way to celebrate San Juan in Andalucia, every year in the night of June 23rd. Read along to find out how the Night of San Juan is lived in the south of Spain. The Night of San Juan is a celebration whose origins date back to the Pagan rituals that used to take place around the summer solstice. Later on, the Christians borrowed this tradition as they fixed June 24th to celebrate the birth of Saint John the Baptist (as recorded in the Gospel of Luke, Saint John the Baptist was born six months before Christmas Eve). Unsurprisingly, the presence of fire is the fundamental feature of the Night of San Juan. In fact, the fire has been considered a purifying element ever since the pagan Midsummer celebrations. This is why bonfires are lit on the Spanish beaches during the Night of San Juan. The purifying power also belongs to the water, which is celebrated during the sacrament of baptism (Saint John baptised Jesus). This is why it’s believed that bathing in the water on San Juan helps you realise your dream, and provide you with happiness and even fertility. These two ways of purification create a symbolical contrast that reaches its peak on the Night of San Juan. Take a look below to discover how the Andalusian provinces celebrate the Noche de San Juan. Malaga might be the Andalusian city that most fervently celebrates the Night of San Juan. 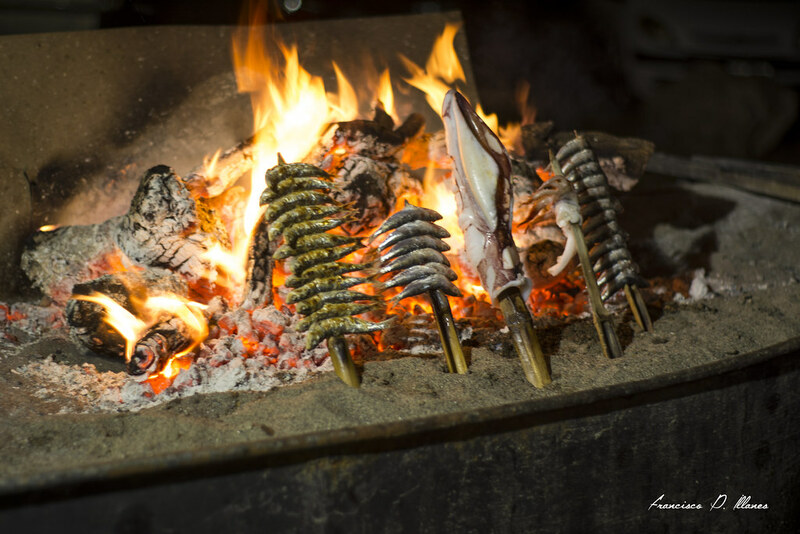 Bonfires on the beach characterise the year’s shortest night and are accompanied by delicious figs and “espetos” de sardinas. Apart from the culinary tradition, it’s the “Quema de los Júas” that attracts the highest quantity of people. Literally translated into “The Burning of the Júas” (a nickname proceeding from the name “Juan” aka John), the Júas are home-made rag dolls representing (in)famous people. They usually are 2 to 3 metres tall and they start to be put together some days before Noche de San Juan. Therefore, if you stop by the beaches before that date, you can see them in all their splendour. Malaga city features two important bonfires, one held on the beach of La Malagueta, in the city centre, and the other on the beach of La Misericordia, in the western area of the city. Thousands of people gather around their very own bonfires (this night is the only moment when bonfires are allowed on the beach). The tradition requires for 3 wishes to be written on a piece of paper, which later has to be thrown in the fire; those who do this also have to jump over the fire three times to ensure their body is purified and their problems burned away. The beaches get filled with music and fireworks illuminate the bay of Malaga when midnight strikes. A competition alike to that of Malaga is held in Estepona, which is known as “Quemando los Bigotes de San Juan” (bigotes meaning moustaches, which refers to bad people, as moustaches were a prerogative of bandits in the 16th century). Those who win the competition are granted the chance to burn their dolls on the beach of the town. Meanwhile, people bath in the sea to make their dreams come true. The province of Granada also celebrates San Juan with bonfires. On the beaches of Motril and Almuñécar, San Juan is the only day when campsites and bonfires are allowed. 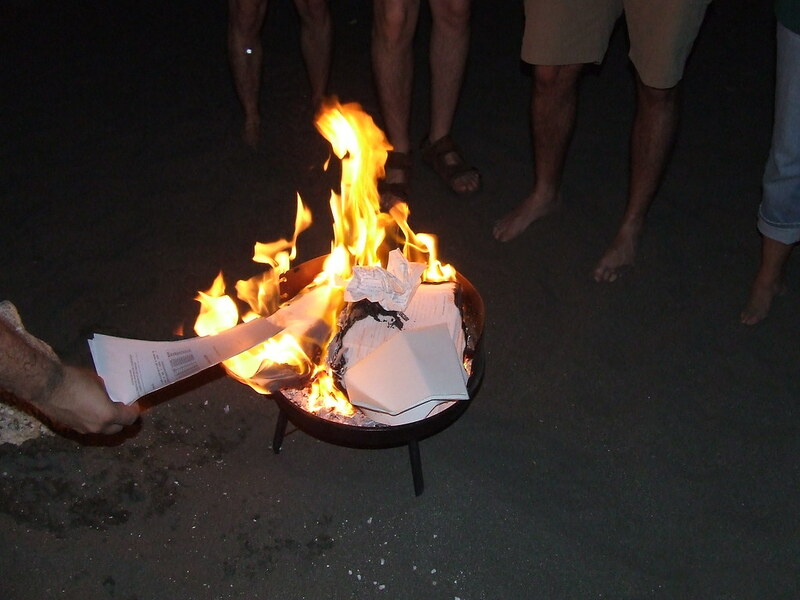 Motril features the same tradition as in Malaga, (three wishes to be written on paper and then thrown in the fire). Besides, for luck to accompany you in the forthcoming year, you have to throw three negative things in the sea for the tide to wash them away. In Almuñécar, people wash their faces with seawater and rose petals at midnight, to keep their beauty and health for the whole year, as the starry sky gets filled with sky lanterns. Moreover, on San Juan’s eve, the town gets filled with the delicious smell of the traditional “Bollo de San Juan”, a type of bread made with anise. The town of Lanjarón, a precious town of the Alpujarras famous for the healing waters, welcomes the traditional “Carrera del Agua” (Race of Water). When midnight strikes, neighbours of Lanjarón run for 1.5 km as they get soaked in no-drinkable water thrown from balconies until 1 am. Meanwhile, the runners scream “Esto no es San Juan, esto es cachondeo, ¿dónde está el agua? Que yo no la veo” (This is not San Juan, it’s a partying, where’s the water? As I can’t see it). At the end of the race, a big bonfire awaits them, where they can dry up and enjoy the delicious ham that’s elaborated in the town. Likewise, in the Gaditan áreas of San Roque, Línea de la Concepción and Algeciras, as well as in Cadiz, the so-called “juanillos” are burnt, rag dolls that allude to famous people. Those on the beaches of El Rinconcillo and Getares in Algeciras, keep written wishes on the inside. On the beaches of Conil de la Frontera, a competition is held among the neighbours, who have to create couples of dolls (called as “Juan and Juana”) to be burnt on the bonfires. In Almeria, especially in the town of Adra, Roquetas de Mar and El Ejido, people dance and enjoy spectacular fireworks. Besides, the “sardinadas” (when a significant amount of grilled sardines are made) are a great way to spend the shortest night of the year. The provinces of inland Andalucia also celebrate San Juan, despite not being provided with a beach. The Cordovan town of Almedinilla stages the Legend of the Encantá, a young Moorish girl whose Christian lover was murdered by her brothers upon finding out about their romance. Legend has it that each year on San Juan, her spirit appears on the riverbanks of river Caicena as she still looks for her long-lost love. The town of Cabra sets its own bonfire to start the Fair of San Juan, whereas Almodóvar del Río welcomes a parade of children carrying around lamps made from watermelons. 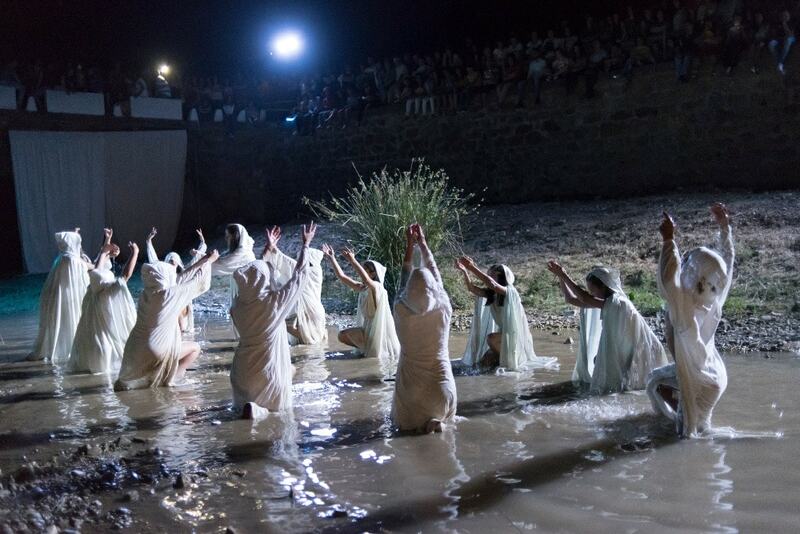 The town of Cazorla relives a very peculiar tradition: the Noche de la Tragantía. Legend has it that the ruler of Cazorla kept a young girl in the dungeons of the castle of La Yedra, to protect her during a siege. However, he was killed, and no one ever knew about his protegée. The girl survived by eating rodents and the lower part of her body turned into that of a snake. This legend is celebrated with plays, dances and music in the streets of the town during the Night of San Juan. The towns of Montizón and Navas de San Juan also celebrate the shortest night of the year by releasing heifers in the streets. Since there are various and different ways to celebrate San Juan in Andalucia, you should visit southern Spain various times, to soak up the atmosphere each year in a different place. Therefore, take a look at the best villas to stay in Andalucia and make the most of the Noche de San Juan!